2 Hawfinches high up in the trees at Holy Trinity Churchyard, Street; first to see my first Hawfinches! 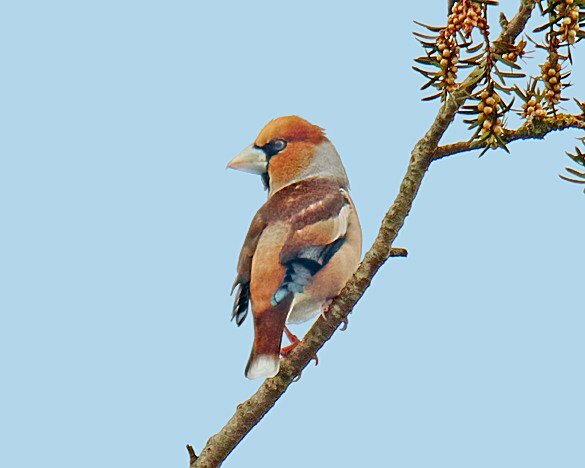 Perseverance paid off, seen at Dulcote playing fields Hawfinch spotted in Yew tree 1400 hrs. 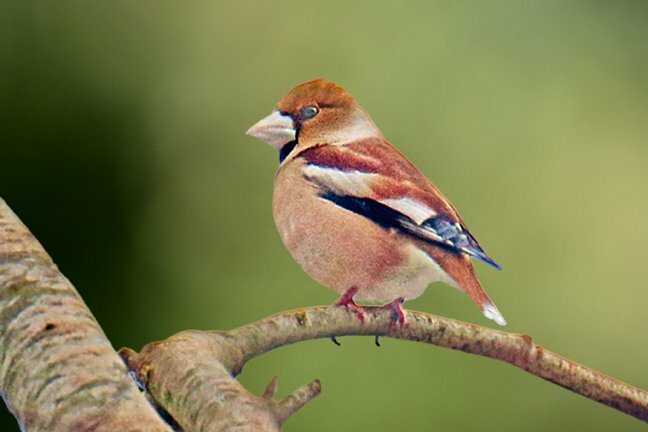 First day that ” green” reappears, Male Hawfinch is back feeding on ground! That’s at least 6 weeks here in West Hatch. At least 8 in Holy Trinity Churchyard, Street and nearby trees 10:15 to 11:30 this morning, though very flighty. Female Hawfinch on my bird table in Stogumber for most of morning. Still at least 3 birds in yews at junction of Low Road and High Street, Butleigh. They have become increasingly more confiding, this morning allowing me within about 20 feet. At least 9 at Holy Trinity Church, Street this morning . All at top of bare trees. 1 in tree at NE corner of Holy Trinity, 3.30pm yesterday. 3 at Holy Trinity Churchyard in Street at 12:30 hrs. Still 3 by canal at Bathpool, just to west of car park. Going east, flock of 25+ yellowhammer not far past A38 bridge. Spoonbill at Steart 5th Nov Whooper Swan.